PhD. He graduated from the philosophy programme at the University of Warsaw, attended Theatre Studies at the Theatre Academy in Warsaw. He completed his doctoral dissertation, ‘Teatr i Solidarność.O teatrze wspólnoty’ [‘Theatre and Solidarity: On the Theatre of Community’] supervized by Prof. Krystyna Duniec, in the Institute of Art of the Polish Academy of Sciences. From 2006 to 2011, he worked in the Theatre Institute in Warsaw as the head of the department of theatre promotion, and from 2011 to 2014 in the Polski Theatre in Bydgoszcz as the deputy director and programme director of the Festival of New Dramaturgies. Since September 2014, he has been working in the Powszechny Theatre in Warsaw as the deputy director responsible for programming. He was a creator of Nowa Siła Krytyczna [the New Critical Force], a group of young critics writing for the Polski Wortal Teatralny at e-teatr.pl. He has collaborated as critic and writer with Tygodnik Powszechny, Notatnik Teatralny, Teatr, Didaskalia, Opcje, Metro, Newsweek Polska, as well as international theatre journals including Theater der Zeit, Svet e Divadlo and Theatre Seasons. He has been a regular columnist for the website e-teatr.pl and author of many academic papers on theatre, presented at Polish and international conferences and published in essay collections. He edited the collections Liberated Energy(Warsaw, 2011) and Teatr wspólny (Bydgoszcz, 2013). Cover of Kolęda-nocka Programme, dir. Krzysztof Bukowski, Musical Theatre, Gdynia, premiere: 20 Dec. 1980. Paweł Sztarbowski, 'Staging Clichés and Settling Scores', Polish Theatre Journal no. 2(6)2018. A symposium was organised by the University of Warsaw in 1981 to commemorate the anniversary of the events of March 1968 [student conflicts with the Communist authorities]. During the symposium, which opened with a lecture by Jacek Kuroń, the attendees sung ‘Rota’ [‘The Oath’, a patriotic Polish poem and song opposing forced Germanisation], paying no heed to the fact that events being commemorated and the song belonged to wholly distinct ideological and symbolic orders. That fact, however, was not considered inappropriate. All manifestations of community were being rendered uniform, especially when they concerned remembering the past. Forms of celebration accompanying various symposium events were based on the same schemata, and even clichés, that had been created during the August strikes of that year. The same poems, the same songs kept recurring, eventually becoming compulsory elements of any patriotic celebration; some recur in similar circumstances even today. Konstanty Puzyna, writing in early October 1980, had rightly intuited that “a certain set of traditional stereotypes is being perpetuated: slogans such as armed struggle, uprising, confederation, death to tyrants, for ours and yours [freedom], still resonate today. But trade unions? The right to strike? In a country almost untouched [...] by parliamentary democracy, these sound strange. As if they came from a different language, a different tradition of thought”.1 As early as August 1980, stereotypes of national martyrdom were playing a part, and with each month, their presence in the public sphere grew and grew. Theatre artists in large part joined this patriotic chorus and came down on the side of Solidarity, co-creating its emotional dimension. This provided an opportunity to take up new subjects and renew the idiom of theatre. Theatre milieux were initially very cautious, however. “Everything stayed as it was. Firstly, because nothing had really changed in Poland’s theatre life; secondly, because Warsaw Theatre Meetings [a prominent festival] has never been about responding to the situation”,2 members of the festival committee wrote in their opening text to the 1981 programme. This gives an important insight into the attitudes of theatre-makers to transformations that were underway, in the context of planning the repertoire. When the Gdańsk Agreement was being signed at the end of August 1980, theatres had already programmed the coming season, which had required much early planning and permissions. Still, “the repertoires, substantially revised after September, do not hold much promise”,3 as Marta Fik noted in November 1980, concluding: “In these times of supposed easing up [of official restrictions], everything seems possible. Everyone wants things that until recently he or she had considered childish. But even the most persuasive catchphrases make no difference if not backed up by something more than the declarations that evil is evil. Theatre, dramaturgy and critics [...] all face tasks as demanding as they are tedious”.4 As it turned out, events in the country were a complete surprise to theatre companies. This was noted by Jacek Sieradzki, who wrote that, in autumn 1980, companies “were still dazed and confused; regular, ordinary repertoire seemed glaringly out of place; contemporary plays, brave and ‘inadmissible’ only yesterday, turned out to be tepid and outdated. Artistic directors did not consider engaging with the classics [...], fewer and fewer viewers showed up. [...] companies which renewed their repertoires were deeply attached to the era before August, in those specific rules that held in the companies-authorities-society triangle”.5 Those rules had chiefly consisted of the recourse to allusion and association. This is precisely why post–August 1980 theatre is a major watershed in recent Polish theatre history. That was the moment when theatre could, for the first time in years, take up social issues directly, without unnecessary disguise, unhampered by censorship – yet only minimal advantage was taken of that opportunity. This is the intriguing context for two productions of Gogol’s comedy The Inspector General, developed almost simultaneously by Izabella Cywińska with the Nowy Theatre in Poznań (premiere: 13 September 1980) and by Jerzy Jarocki with the Stary Theatre in Kraków (28 November 1980). In both cases, rehearsals had begun before the August accords were signed, but the productions opened within a new social and political reality. Cywińska’s production was described as one that had grave, even threatening overtones, with the character of the Mayor compared to Arturo Ui. At the same time, some reviewers indicated that had it premiered before the summer break it would have resonated much more powerfully. One reviewer stated this directly: “Had it been shown to us in June, it would have been a politically incisive, courageous production, with a subtext. This is not so any longer”.6 The implication was that the production was instantly outmoded, since recourse to an Aesopian language of allusion and understatement is pointless when one can speak of social reality directly. Aware of this, Cywińska changed the ending so that, as another reviewer noted, “instead of the superhuman character of the Inspector who appears with an almost metaphysical aura in the original springtime version, we see a new solution which is captivating in its aptness and simplicity. From the open window where the false Inspector disappears so carelessly, we hear increasingly loud voices and shouts from a crowd”.7 The disturbing conclusion of the original version was therefore replaced with an optimistic, almost naive version, a tribute to strikes in Poland’s coastal ports and the political events they provoked. Audiences were quick to interpret the direct reference to recent events, as they had after the premiere of Cywińska’s Judasz z Kariothu [Judas of Karioth] by Karol Hubert Rostworowski (4 April 1981), when a scene with Jesus and the apostles seated before a corrugated steel wall was read as a reference to shipyard workers fighting for their rights. This opinion conveys the expectation that the new social reality should be reflected in artistic activities. Both productions of The Inspector General were scrutinised for the tiniest traces of that new idiom. At the same time, reviewers expressed disappointment with the fact that theatre was not up to date with political events. In those early months after events of August 1980, theatre-makers opted for minor amendments, rather than radical changes, in their thinking about theatre. Speaking about a new social order demanded both new subjects and a search for new forms. In this context, Jan Kłossowicz put forward a fairly exhaustive and apt typology consisting of four types of public performances: 1) rites and celebrations commemorating anniversaries or performed at dedications of monuments; 2) mass spectacles; 3) performances based on poetry previously banned by censorship; 4) documentary and reportage productions. All four were motivated by the desire to provide a direct, up-to-date description of reality. The need for such forms stemmed also from the fact that playwrights’ drawers turned out to be empty and there simply were no new plays available to provide an adequate description of what was going on in the country. These forms therefore provided a stopgap repertoire to cope with this shortage. Another notable phenomenon is the proliferation of plays that took up historical themes. The 150th anniversary of the November Uprising [Poland’s anti-tsarist insurrection instigated in 1830] provided a pretext, but equally motivating was a familiarity with and wish to use strategies that had already worked, consisting of historical costumes, allusions and understatement, and conspiratorial winks at the viewer. Theatre succumbed to the atmosphere of the times and, for the most part, copied clichés permeating the public sphere, producing and distributing those ways of performing individual dramatisations of everyday life that were accepted collectively. It did not discover the capability in itself to order the world, frame experience, then shape itself in opposition to the dominant schemata. Not only classics were fine-tuned to match the new reality, but also contemporary pieces. This was the case with Kapry i brzany [Capers and Barbs], Andrzej Niedoba’s play set in the Silesia region and written in Silesian Polish, directed in 1981 by Jan Sycz with the Śląski Theatre in Katowice. The play centres on the lives of the Szebests, a mining family, set against the backdrop of the post-war history of Silesia. Three locations are key to the plot – the coal mine, the family home and the pond where miners go fishing after work to relax. The phases in the play correspond to those of the post-war history of Poland. The renaming of the mine from the Marta to the Joseph Stalin Coal Mine indicate the arrival of Stalinism. The audience reacted wildly to the recent 1970s past, referenced by extravagant public spectacles attended by official representatives dressed in miners’ parade uniforms with plumed headgear, and a grotesque scene where a model miner and his family are visited by drunk representatives of the local authorities, which apparently was nearly a regional custom at the time. The play was written in 1979, then Niedoba added a new ending after August 1980 in which striking miners, posing as if in a tableau, sang ‘The Oath’. Reviewers noted that this ending felt contrived and overly zealous, and considering that the play was set in Silesia, the lyrics of ‘The Oath’ may not have reflected local historical experience and the sense of national identity. Capers and Barbs was described as the first “agit-prop of renewal” in the region. One reviewer asked rhetorically: “But can one blame the playwright for wanting to end the bitter tale of three-and-a-half Silesian decades on a lofty note of hope?”14 This critical take on the past, combined with an elevated, idealised image of the present, was typical at the time. In Bogusław Korzeniewski’s vivid descriptions of reactions to the staging of Betlejem polskie [The Polish Bethlehem] directed by Czesław Przybyły with Łódź’s Teatr Powszechny (premiere: 14 November 1981), he gives a good sense of how current events in the country impacted both audience reception and the content of productions. Przybyły had decided to throw in allusions to history, supplementing the list of visitors to the manger in Bethlehem from Lucjan Rydel’s original play with a soldier from Poland’s 1939 September Campaign in a bullet-riddled helmet; a member of the Podhale Rifles who fought at Monte Cassino [a 1944 assault in occupied Italy], bearing red poppies; a Boy Scout from the Grey Ranks [of the Polish Underground]; and a soldier from near the Oka River [a reference to a patriotic song]. While the phrase “Give us your blessing, rescue us in our need” was being sung, an image of the Black Madonna of Częstochowa was displayed [a main icon of Polish Catholicism, also known as Our Lady of Częstochowa]. There are reports of audiences sobbing during the performance, with the sobbing turning to wails in the finale. Such reactions were becoming almost commonplace in theatres, and the more facile and tear-inducing the conventions that were evoked, the greater the applause. The oratorio referenced symbols which had already found their place in the public sphere, and set forth opinions which at the time required no thought, much less any courage. They were, however, popular enough that the spectacle grew into a legend of sorts, and was given a guest performance at the Wielki Theatre in Warsaw [home of the National Opera]. Addressing current polemical issues is part of the tradition of nativity plays, with their naivety, clichés and a conventional take on representations of good and evil. Many such pieces were staged in Polish theatres in late 1980, and their writers attempted to pack them with as many references to contemporary events as possible. Another example is Herody polskie [Polish Herods], directed by Izabella Cywińska with the Nowy Theatre in Poznań, with a script by Roman Chojnacki. The initial plan was to stage Tytus Czyżewski’s Pastorałki, but the idea continued to evolve to resemble the formula of “nocturnal conversations among Poles” on current political issues, with the script dominated by contemporary Polish poetry by Stanisław Barańczak, Czesław Miłosz, Ryszard Krynicki, Lech Dymarski and others. That this poetry could be articulated aloud on stage without censorship was sensational. Cywińska would later reminisce that the production was essentially created on the fly, its authors trying to react to what was going on in the country, adding new passages until the last moment. Those references made for very grave and at times irate overtones in the production. The scene in which Herod loses his regal coat and a gold paper crown was read as clear reference to the regime. At the conclusion of the performance, actors shed what costumes remained, revealing their everyday clothing. Again leaving absolutely no room for doubt as to the cause they supported, they wore Solidarity trade-union badges pinned to their lapels and recited anonymous poetry written during the August strike in the shipyard. The audience was euphoric. This uncritical, strongly idealised opinion is counterbalanced by the following comment by Nyczek, who saw Kolęda-nocka as emblematic for the theatre of the day: “One thing is clear: it wants to keep up with its time. But its strengths and means are simply drastically inadequate. Where there should be stark reality, we get dummies and ersatz creations. Where it assumes it should tell the truth, it sounds phony and false. Instead of dramas, we get exalted operettas; instead of a conversation with the audience, we get a pandering to its instincts”.19 The opinions of Korzeniewski and Nyczek exemplify two distinct stances: a sense of self-congratulatory pleasure at having created an easy emotional bond with the audience, and a criticism of this bond as superficial and not enduring. A certain amount of self-congratulation on the part of theatre-makers was not unfounded. Audiences lapped up any allusions, applauded even very distant references to contemporary events, and were moved at the loftiest recitations and the tackiest of symbols. This is why, in Kolęda-nocka and others, slogans proclaiming a moral renewal and verses describing ‘straightened backs’ and hunchbacked people growing wings got a rapturous reception. These spectacles referencing the new social reality were based on a very simple template: we were fearful and unhappy until recently but, now that we have understood the all-encompassing lie, we have the courage – thanks to Solidarity – to be ourselves and proclaim our rebellion out loud. The bulk of these dramas had been cleared for staging and publication even before the August strikes [that led to the Gdańsk accords], as was the case with Mariusz Ziomecki’s Szczękościsk [Lockjaw], directed by Jan Błeszyński with the Popularny Theatre in Warsaw (premiere: 11 July 1980) and Edward Redliński Pustaki [Hollow Bricks], first played at the Powszechny Theatre in Radom (24 May 1980) and then in many theatres across Poland, from Białystok in the east to Gorzów Wielkopolski in the west. Some of these topical texts were even broadcast as part of TV Theatre [a weekly staple on national television] after August, and with a dialogue-based formula also well suited for radio theatre, they reached mass audiences. This was then in fact a conscious strategy of the mass media, suddenly taken with an urge to investigate abuses, oversights and crimes of the regime to the point that people joked about the “propaganda of success” turning into a “propaganda of failure” – “It is a source of great satisfaction to viewers that what they had long known and experienced on an everyday basis was now subject of public debate”,21 as one commentator noted. In this way, the media attempted to regain credibility but also create an atmosphere of chaos and crisis, which would soon be blamed more and more strongly on Solidarity. In an atmosphere where acts of facing up to past errors and failures were both common and official, taking up precisely those same issues in theatres bore only a semblance of courage, while being in fact an expression of a conformist stance. Therefore, when previously banned plays could finally be staged, such as A deszcz wciąż pada [And the Rain Still Falls] by Józef Kuśmierek, directed by Mariusz Dmochowski with the Nowy Theatre in Warsaw (3 January 1981), and Stanisław Tym’s Pralnia [Laundry], a play that waited six years for its premiere and was finally directed by its author with the Theatre in Wola (9 April 1981), they met little or no response. Shown in early 1981, both merely repeated what was already being said in public and officially. Each play put a spotlight on a corrupt, distorted reality, highlighting the degeneration of the Communist system. Such contents would have been subversive, forbidden or even seditious before August 1980; yet after that watershed, they no longer caused any wider debate. There were some successful attempts to discuss current events and to refer directly to recent politics, though these were extremely scarce. One example was the dispassionate Relacje [Accounts], based on interviews conducted by Hanna Krall and directed by Zofia Kucówna for the National Theatre. The drama was a presentation of individuals who had played important parts in moments of political crisis in Poland: Lechosław Goździk, the leader of workers who had rebelled at the FSO car factory in Warsaw in 1956; Janusz Prokopiak, regional secretary of the Radom Committee of the United Polish Workers’ Party in 1976; Anna Walentynowicz, member of the Free Trade Unions of the Coast. Particularly moving was the scene where, during the Radom strikes, Prokopiak is faced with a choice between yielding to the workers and confronting them. Prokopiak speaks of his fear of the striking workers and his even greater fear of giving in to their demands, which would be tantamount to losing his privileged position. The character of Anna Walentynowicz enabled the production to show the importance that settling scores had on current events as well as, more importantly, to stage and thereby amplify the words of the crane operator who had come to embody the Solidarity strikes. The strength of Accounts was narrating current events with no recourse to an Aesopian language of parable and understatement. Subsequent stagings of the reportage-like drama were quick to follow. All tended to adopt the tone of calm monologues – though fraught with inner tension – whose ascetic form contrasted with the spectacle and the overblown symbolism of social events of the day. Those events were given a simple, balanced representation, with grand historical moments shown through the filter of human choices. Given the shortage of interesting new drama, it was opinion-writing and reportage which enabled writers to capture the zeitgeist. A difference in form notwithstanding, the subject matter was therefore not dissimilar to that raised in neo-production plays, equally accusatory towards an inert society and critical of the atrophying moral instinct and the mere appearance of action. Reviewers emphasised that, though All Performances allowed poetry that had been proscribed to be heard on stage, it proposed no new formal solutions and was akin to actions by student theatres in the 1960s and 1970s, with thematic strands re-enacting those also present in the “cinema of moral anxiety”. Still, the production was extremely popular and played to packed houses, who appeared to appreciate that theatre was catching up, if only that very fact: “Though such an evening, such an extraordinary presentation, is itself of historical importance, one has to applaud theatre for doing it”,23 a reviewer noted. Such opinions convey a sense of a delayed, untimely reaction, implying that theatre was copying what was already being represented in the social space. On the other hand, however, so few productions responded to current events that merely attempting to tackle the evolving social reality drew much comment. It is difficult to expect that theatre – beguiled by the enthusiastic reception of its output and by packed attendance, and convinced of the great importance of issues it was raising – should forego all of that and instead speak uncomfortable truths that might undermine the reconstituted community or simply ask it critical questions. Such an in-depth conversation was out of the question until dramatic literature worthy of the subject became available. It was therefore poetry and reportage, functioning as surrogate dramatic literature, which allowed theatre to speak of what had previously been proscribed. “Facts, documents, historical accounts have a dramatic and artistic force stronger than grand literary creation”,24 noted a journalist describing the unveiling in Poznań of a monument to the June 1956 protests there. A reviewer of Polish Herods observed: “Poetry, once pushed into the underground and thus unavailable, is now a strong voice. It fills the silence of society with concern, care and hundreds of questions. It asserts the rights of all those who have not enough strength or voice to do so on their own. It can be cruel, like a mirror which it hurts to look into because the skilful make-up artists are no longer with us”.25 Marta Fik emphasised that a “reportage-like quality” enabled authors and directors to say unpopular things and may therefore be considered an advantage, “if only because it is a desirable change from speaking of nothing while disguised as a bard, an avant-gardist or a visionary”,26 an obvious reference to Ernest Bryll’s poetic flights of fancy. Allusions, veiled references and multilayered metaphors were no longer prerequisite disguises when addressing various issues. Theatre, however, only rarely made use of this opportunity and then in a rather naive manner, and was for the most part content with skin-deep analyses or the bare fact of having addressed an issue considered brave or controversial. Fik therefore concluded that this “reportage-like quality” should not be a rule for drama, since it neither reveals underlying mechanisms nor shows the crux of problems, but merely their surface. The months of Solidarity saw the beginnings of spectacles created outside institutions, with their often-shoestring budgets funded by donation. Such productions were intended to be regularly performed on stage rather than as a one-off presentation as part of patriotic or religious celebrations. 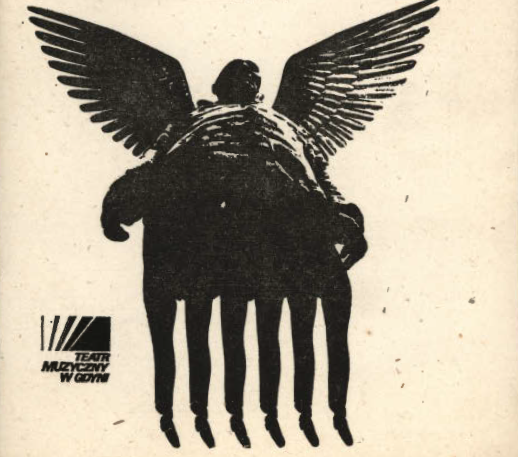 An example is Cmentarze [Cemeteries], based on a novel by Marek Hłasko and directed by Jan Maciejowski, created by a group of actors from various Kraków companies and performed at several institutions (the premiere on 14 February 1981 was at the Stary Theatre). The play was produced on a voluntary basis, and only token remunerations were paid; there was no set rehearsal space, and actors used their own attire. The Małopolska regional committee of Solidarity sponsored the production.27 Hłasko’s novel, previously banned by the censor, applies itself to settling accounts with the Stalinist period and the ideological bankruptcy of the Communist system. To bring it up to date with current events, recordings of songs by Solidarity bards Przemysław Gintrowski and Jacek Kaczmarski were played at the beginning and after the end of the play. Still, despite this initiative’s noble intentions – an independent response to social changes, even as official institutions remained submerged in indolence – the performances did not turn out an important artistic event: instead of painful reckoning with the past, it offered stand-up routines based on Hłasko’s writing, obscuring any serious message or attempt to tackle the recent past and entanglements in the totalitarian system. One criticism levelled by reviewers was that the theatre of the day did not tackle national classics. Indeed, there were no attempts by eminent theatre-makers to come up with an innovative reading of classics in the new situation. It was therefore proposed, on a wave of Solidarity enthusiasm, that newcomers re-interpret those great Polish national dramas. Much hope was pinned on Tragedia romantyczna [A Romantic Tragedy], based on two Romantic-era classics: Adam Mickiewicz’s Dziady [Forefathers’ Eve] and Juliusz Słowacki’s Kordian, directed by Mirosław Kin and Adam Gessler, students at the Faculty of Radio and Television of the University of Silesia in Katowice, with music by Czesław Niemen. Daniel Olbrychski played Konrad, and Krzysztof Chamiec took the part of Kordian. The production, referred to as “a national celebration” and “the biggest spectacle in the People’s Republic of Poland”, was first seen on stage on 7 July 1981, with its proper premiere the following day. It played until 14 July in Spodek, a multipurpose venue and sports arena. In total, there were eight performances, with Spodek filled for the final three to its capacity of seven thousand–plus viewers. More were planned for that November, along with performances in the Gdańsk Shipyard and in Warsaw (at the Salto Circus) and a recording for television, though none of those came to pass. The theatre of Mickiewicz and Słowacki, financed by representatives for the people and intended for the people, is something unprecedented in People’s Poland”,29 wrote Anna Schiller in Tygodnik Solidarność. The organisation and promotion of the production deserves attention as well. The choice of Spodek as the venue liberated the play from the inertia of theatre structures and strictures. The production was modelled on the process used in filmmaking, with Juliusz Donajski appointed production manager. Key actors were recruited from the Polski Theatre in Warsaw, with extras coming mostly from the Dąbrowica Ensemble of Song and Dance of Silesian Polytechnic, the Voluntary Youth Workforce and the Pantomime Ensemble of the University of Silesia. The Silesian Opera in Bytom also lent a hand. A spokesperson was appointed to coordinate promotion activities. The neighbourhood was plastered with red-and-black posters by Artur Turalski, dominated graphically by prison bars, chains, coats of armour, crosses and eagles [Poland’s national symbol]. Leaflets announced “a spectacle – a national celebration” and lambasted “prominent local troglodytes who have strived consistently to render a cultural desert”. Spodek was adorned with four massive flags: yellow and white [the papal colours], red and white [Polish national colours], white with the Solidarity logo, and blue and white [colours of the Virgin Mary]. At the entrance, viewers were confronted with a scaffold bearing the image of a two-headed crowned eagle and the Polish flag. Kłossowicz made remarks to similar effect and, while pointing out weaknesses of the production, noted: “The point is for people to come together in this space, next to the monument to the Silesian Uprisings [from 1919 to 1921, against German rule], next to the famous December Palace, and listen to national poetry which cannot be bought in bookshops”.43 He also stated that the spectacle could not be analysed as an artistic event, but as a social phenomenon. It was this shift that posed the greatest difficulty to reviewers at the time. Theatre events of little artistic value, naive and clichéd, evoked strong emotions in audiences. At the same time, they typically posed no challenge, and provided no material for reflection. This, increasingly, was the image of Poland presented by Solidarity: sacrificial, martyred, permeated with national and religious solemnity. This language had barely developed or evolved since spontaneous performances in factories on strike. References to national martyrdom abounded, even in satire and cabaret. A song contest, Przegląd Piosenki Prawdziwej “Zakazane piosenki” [the Forbidden-Songs Revue of True Song], organised in Gdańsk on 20–22 August 1981 at the initiative of Maciej Zembaty, became all but a propagandist pro-Solidarity show. Earlier, Zembaty had toured Poland with a recital of his songs, with music by Jacek Kleyff. During one concert, Andrzej Wajda encouraged him to turn it into a bigger form and gave the idea for the title, a reference to one of the first post-war Polish films. Eventually, Lech Wałęsa was persuaded to support the project. Maciej Karpiński directed the show, and Andrzej Czeczot worked on set design, which featured an image of a shipyard worker looking at a noose-like line dangling from a crane, against a red backdrop. The sides of the stage were adorned with caricatures of dead and living Party leaders: Bolesław Bierut, Józef Cyrankiewicz, Władysław Gomułka, Piotr Jaroszewicz and Edward Gierek, as well as two “portraits with no protagonists” covered by a pall. Those in attendance joked that one of those awaited Wojciech Jaruzelski [Party First Secretary, declared martial law in December 1981]. Before the first concert, regime-supporting newspapers from Czechoslovakia and the East German were scattered on the floor near the entrance to the Olivia Hall arena so the audience could trample on them. Before his performance, Andrzej Rosiewicz commented: “I am happy to be able to sing for you against the backdrop of faithful carollers of the five-armed star”,48 to thunderous applause from the audience. The show had Daniel Olbrychski as master of ceremonies over the first two days, with Jerzy Stuhr taking over for the third day. Most of the songs were not new, and had been sung earlier during semi-official performances or in private. Recorded on cassette tapes, they had passed from one person to another and became well known. They reflected eventful months in Polish history: March and December, then after August they came to include striking workers’ songs. Each day of the revue opened with [actor] Krystyna Janda’s performance of ‘Ballada o Janku Wiśniewskim’ [‘The Ballad of Janek Wiśniewski’], now widely known. The idea therefore was to “legalise” what was a repository of underground songs. Solidarity submitted all lyrics to the Gdańsk censorship office, which approved them all, permitting the songs into official circulation. Prawdy, prawdy, prawdy nam potrzeba! We need the truth, truth, truth! The authenticity of repertoire, spontaneous singing and ability to talk about what deeply concerned writers and society was the greatest strength of the event. Admittedly, though, songs and jokes playing on base emotions and cheap humour were the most enthusiastically received. “Songs by Jacek Kaczmarski were popular, but not excessively so. He did not kick anyone or punch anybody in the face, but forced people to think, and this can be exhausting in revolutionary times”,51 noted Tomasz Jastrun. During a song performed by Andrzej Rosiewicz, which closed with the phrase “And the will of the people is holy”, a large banner inscribed with “Solidarity” was lowered; the banner “covered the unwelcome faces of the people whose politics gave us forbidden songs in Poland”.52 It was clear that, despite the disparity of forms, from sublime Romantic-era poetry to songs along the lines of “Kick the arse that’s mooning Poland / red as it may be”, the songs were intended as a paean to Solidarity. “The performers bravely ticked off on their list all the forbidden subjects of yesterday and today”,53 Jastrun also wrote, and it is difficult to miss the irony, for at one point it became difficult to distinguish true courage from its mere appearance. On the other hand, in a time of ruthless political strife, could things have been any different? Would any critical perspective have been acceptable? The difficulty of honest debate, not just about what was socially and politically right but about the artistic dimension, soon became apparent to those reviewers who tried to give forthright appraisals of works that supported the ideas of Solidarity. Anna Schiller’s review of A Romantic Tragedy in Tygodnik Solidarność was appended with an editorial comment explaining that the author was an independent theatre critic and “it would be wrong for a sense of trade-union solidarity to restrain judgments on art in our magazine”.54 It also explained that it was only thanks to the sponsorship of Solidarity that the people of Silesia could experience the two greatest Romantic-era dramas, and that risk was inherent in a social movement so the Katowice production was “a necessary attempt to create the patronage of workers in culture”.55 Krzysztof Kłopotowski’s review of Człowiek z żelaza [1981, Man of Iron] criticised Andrzej Wajda, the film’s director, for being captive to tropes exploited in his earlier Człowiek z marmuru [1976, Man of Marble]. The review did not get just an editorial comment, but also criticism from many readers, and in subsequent issues Kłopotowski had to justify his own opinions and make assurances of his support for the director. At the roots of the Solidarity movement, there were euphoric elements tapping into collective emotions. Mass spectacles and festivals were to boost those emotions and maintain the euphoria. Were they an expression of “the birth of a solidarity between workers and actors”,57 as Kazimierz Braun would have it? This would appear to be a fairly naive perspective on those events, for their impact on developments in theatrical idiom remains minuscule. 1. Konstanty Puzyna, Półmrok.Felietony teatralne i szkice (Warszawa: Państwowy Instytut Wydawniczy, 1982), p. 170. 2. See: Jan Kłossowicz, ‘Stonoga’, Literatura 1981, no. 6. 3. Marta Fik, Zamiast teatru (Warszawa: Verba,1983), p. 14. 5. Jacek Sieradzki, ‘To może zagrajmy Kościuszkę pod Racławicami? ’, Dialog 1981, no. 11. 6. Olgierd Błażewicz, ‘Metafizyka Rewizora’, Tydzień 1980, no. 42. 7. Andrzej Górny, ‘O potrzebie Rewizora’, Nurt 1980, no. 12. 8. See: Krzysztof Miklaszewski, ‘Rewizor czasów odnowy’, Teatr 1981, no. 5. 9. Maciej Szybist, ‘Rewizor’, Echo Krakowa, 3 Dec. 1980. 10. Janusz Kica, ‘Dlaczego do nas Rewizor?’, Odra 1981 nos. 7–8. 11. Jacek Sieradzki, ‘To może…’, op. cit. 12. Tadeusz Nyczek, ‘Lakierowanie kartofla i inne teksty teatralne’ (Gdańsk: Tower Press, 2000), p. 222. 13. Daniel Przastek, Środowisko teatru w okresie stanu wojennego (Warsaw: Wydawnicza ASPRA-JR, 2005), p. 30. 14. Katarzyna Madoń, ‘Ludzie z węgla i polityka’, Teatr 1981, nos. 17–18. 15. See: Adam Michnik, ‘Poeta epoki paskiewiczowskiej’, Puls 1979, no. 2. 16. Jacek Sieradzki, ‘Przyczyna wszelkich buntów w tym się kryje…’, Teatr 1981, no. 13. 17. Tadeusz Nyczek, ‘Lakierowanie…’, op. cit., p. 225. 18. Bohdan Korzeniewski, ‘Przemoc wielka i mała’ (Warszawa: Instytut Teatralny im. Zbigniewa Raszewskiego, 2008), p. 127. 19. Tadeusz Nyczek, ‘Lakierowanie…’, op. cit., pp. 226–227. 20. Marta Fik, Zamiast…, op. cit., p. 26. 21. KTT [Krzysztof Teodor Toeplitz], ‘A w telewizji bez zmian…’, Teatr 1981, no. 8. 22. Jacek Sieradzki, ‘Wychodzenie z podziemia’, Polityka 1981, no. 19. 23. Jan Kłossowicz, ‘Wszystkie spektakle zarezerwowane’, Literatura 1981, no. 14. 24. Wiesława Grochola, ‘Poznań, Czerwiec 1981’, Tygodnik Solidarność 1981, no. 14. 25. Agata Tuszyńska, ‘Pełne łaski i prawdy’, Teatr 1981, no. 3. 26. Marta Fik, Zamiast…, op. cit., p. 28. 27. See: Katarzyna Madoń, ‘Żarty z historii’, Teatr 1981, no. 11. 28. See: Anna Kulicka, ‘Wielka improwizacja’, Tygodnik Studencki 1981, no. 33; Janusz Jaśniak, ‘Tragedia romantyczna w katowickim “Spodku”’, Kierunki 1981, no. 32. 29. Anna Schiller, ‘Igrzyska patriotyczne’, Tygodnik Solidarność 1981, no. 20. 30. Ewa Kielak, ‘Tragedia romantyczna – zamiast Dziadów i Kordiana’, Trybuna Ludu 1981, no. 176. 31. Renata Zwoźniakowa, ‘Tragedia romantyczna’, Panorama 1981, no. 30. 32. Jacek Sieradzki, ‘Od wzniosłości do śmieszności’, Teatr 1981, nos. 19–20. 35. Anna Schiller, ‘Igrzyska…’, op. cit. 36. Janusz Jaśniak, op. cit. 37. Jerzy Niesiobędzki, ‘Autonomia teatru, niepodległość kina: rozmowa z Andrzejem Wajdą’, in: Niesiobędzki, Rozmowy istotne (Gdańsk: Wydawnictwo Morskie, 1983), p. 28. 38. Anna Schiller, ‘Igrzyska…’, op. cit. 39. Jan Kłossowicz, ‘Romantyczne święto’, Literatura 1981, no. 30. 40. Jacek Sieradzki, ‘Od wzniosłości…’, op. cit. 41. Anna Kulicka, op. cit. 42. Henryka Wach-Malicka, ‘Tragedia romantyczna’, Dziennik Zachodni 1981, no. 137. 43. Jan Kłossowicz, ‘Romantyczne…’, op. cit. 44. Quoted after: Janusz Jaśniak, ‘Tragedia…’, op. cit. 48. Igor Sawin, ‘Pierwszy Przegląd Piosenki Prawdziwej’, in: Najnowsza historia Polaków. Oblicza PRL 2008, no. 13. 49. Quoted after: Małgorzata Niezabitowska, ‘Trochę śmiesznie, trochę smutno’, Tygodnik Solidarność 1981, no. 23. 51. Quoted after: Karnawał z wyrokiem. Solidarność 1980-81, devel. by Agnieszka Dębska (Warsaw: Ośrodek Karta, 2005), p. 192. 52. Jagoda Piątkowska, ‘Zakazane piosenki’, Rozwaga i Solidarność 1981, no. 20. 53. Quoted after: Karnawał…, op. cit., p. 192. 54. Anna Schiller, ‘Igrzyska…’, op. cit. 56. Krzysztof Kłopotowski, ‘Odpowiadam na zarzuty’, Tygodnik Solidarność 1981 no. 32. 57. Kazimierz Braun, Teatr polski 1939-1989. Obszary wolności - obszary zniewolenia (Warsaw: Wydawnictwo Naukowe Semper, 2001), p. 182.
collective emotions; polish theatre in ’80; Solidarity movement; theatre critic.